East Side Mario’s Canada has a new promotion available now! The East Side Mario’s Canada has new family pizza deal. The East Side Mario’s has a New Everyday Deal To Go! 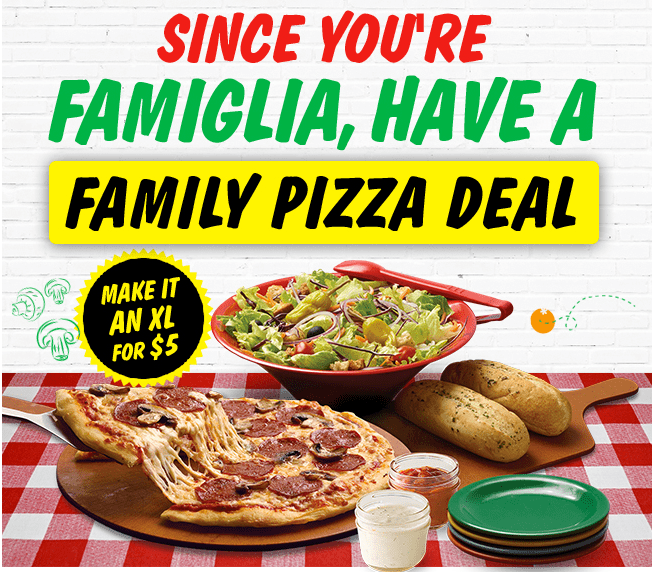 Get a Large Two-Topping Pizza, choice of Family-Sized Garden or Caesar Salad, Two Garlic Homeloaves and choice of Two dipping sauces for only $19.99! Everyday Deals To Go are only available for delivery or pick-up. Not valid in restaurant.